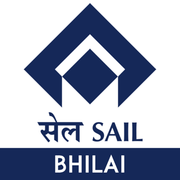 SAIL Bhilai RHOs / Registrars / Sr. Registrars Recruitment 2017 - Job notification for Walk-in Interviewfor RHOs / Registrars / Sr. Registrars at JLN Hospital & Research Centre in Chhattisgarh on Tenure Basis. 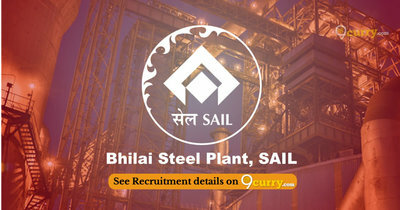 Candidates are invited by SAIL Bhilai Steel Plant on 30 Nov 2017 at 9 AM. UR: ₹250 Demand Draft in favour of Steel Authority of India Limited, Bhilai Steel Plant. MS/MD/DNB/ and Diploma candidates: 35 years. Qualification: MBBS with 2 years full time Diploma. Qualification: MBBS with PG Degree/ DNB. Eligible candidates may appear for interview along with self-attested copies all relevant documents (Originals + one set of photo copies), Age Certificate, Experience certificate, Caste Certificate (for SC / ST / OBC candidates) Medical Registration Certificate, NOC from present employer, two Passport size photos and a Demand Draft and original documents for verification. The walk-in interview will be held at following venue & date. Reporting Time: 9 AM - 11 AM.